Mediterranean Diet recipes not only promote overall health and encourage weight loss, but they are also incredibly delicious! I wrote an earlier post about Mediterranean Diet recipes here, and since I’ve been on this diet I am always looking for more recipes to add to my meal plan. As the name of the diet states, most recipes are modeled after what cultures of the Mediterranean regions eat regularly. The Mediterranean Diet doesn’t have any crazy diet restrictions. Instead, most recipes don’t use processed foods and take on a more whole foods approach. Mediterranean foods are lower in saturated fats, which will help you lose weight. Most recipes are rich in protein as there is a focus on seafood and nuts. Be sure to include whole grains, legumes, and beans daily. Foods are seasoned with fresh herbs, spices, and oils (olive or avocado) for flavoring. Be sure to manage your portion sizes. You’ll find that you won’t even feel like your dieting because the food tastes so good. So just be careful not to go overboard! I personally crave Mediterranean food even when I’m not dieting, so that just goes to show just how great these recipes are! They say we eat with our eyes first, and this dish doesn’t disappoint! Red onion, tomatoes, parsley, and feta make this dish not only delicious – but also beautiful! Another bright and colorful dish! 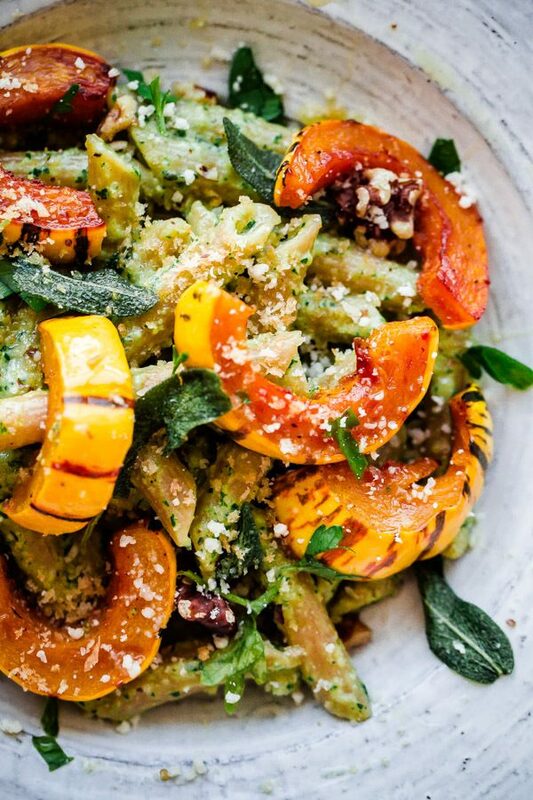 This pasta and squash dish is perfect for vegetarians, or if you just want a break from meat. This grilled chicken is perfect for your next cookout! 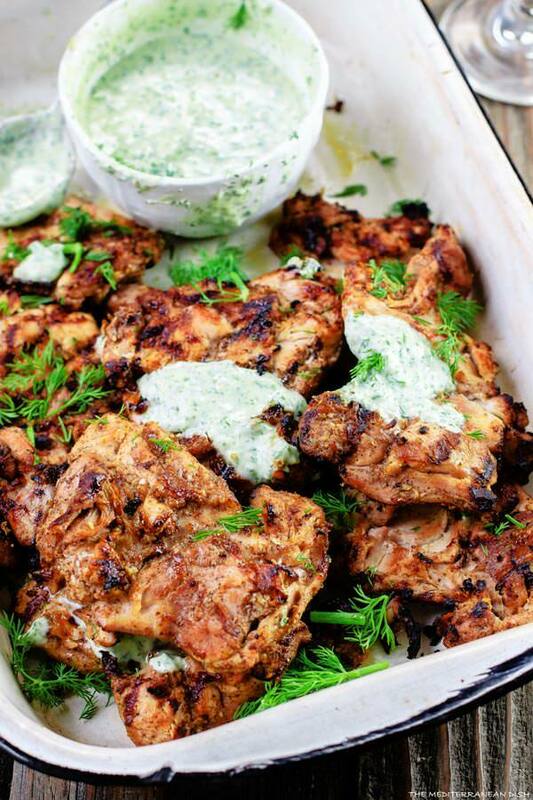 The tzatziki style dill yogurt sauce adds a refreshing touch of flavor. No list of Mediterranean Diet recipes would be complete without a nice Mediterranean bowl recipe. These are great for people on the go! 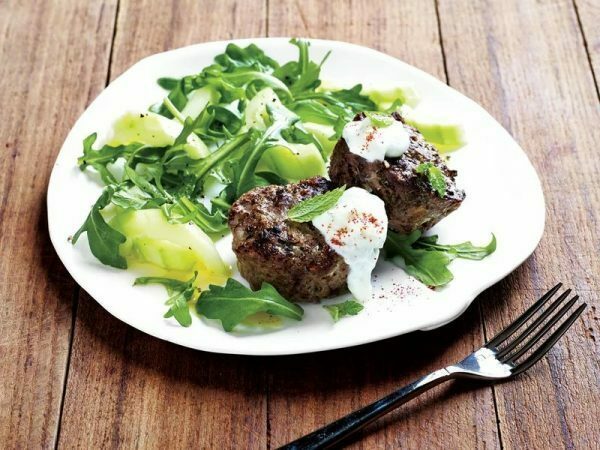 These mini meatloaves combine lamb and sirloin for a Mediterranean twist on traditional meatloaf. These are great for portion control and lower in fat than traditional ground beef. 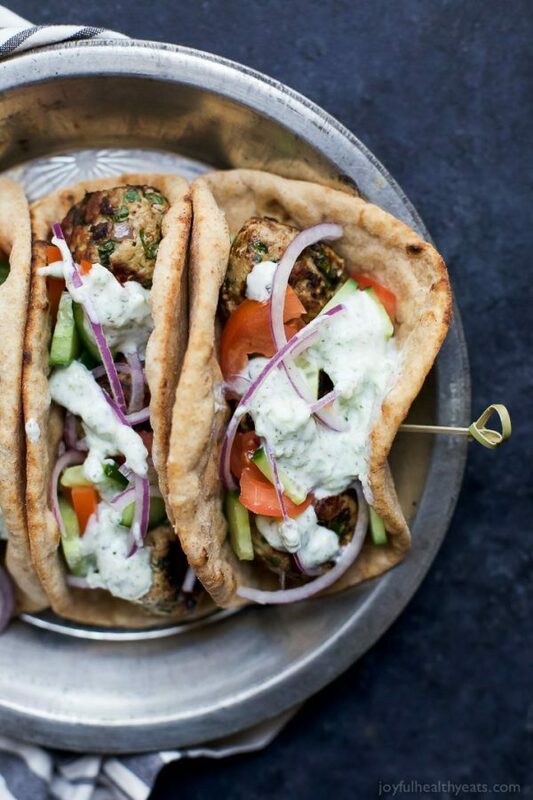 Gyros might be one of the most well known Mediterranean dishes. Think of them as a greek style taco. This recipe uses turkey. However, these would also be great with chicken, lamb, or falafel. Another great vegetarian option for the Mediterranean diet! 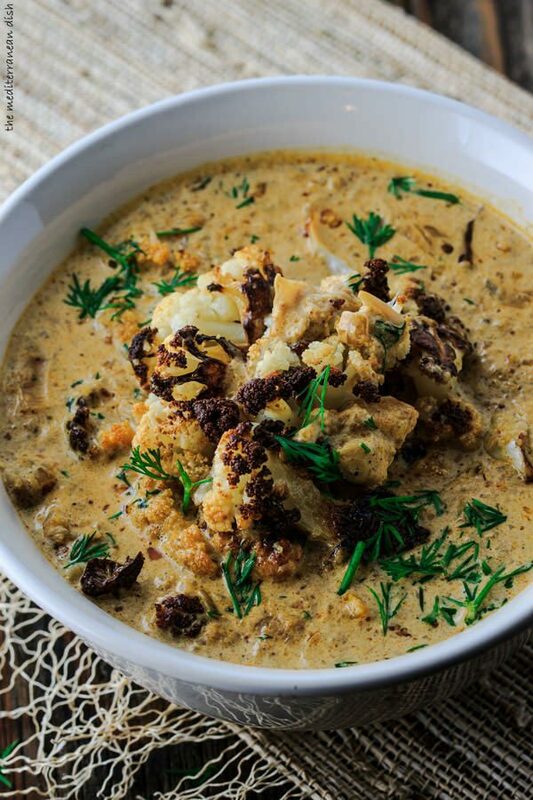 This cauliflower soup is full of flavor with paprika, cumin, and fresh dill. 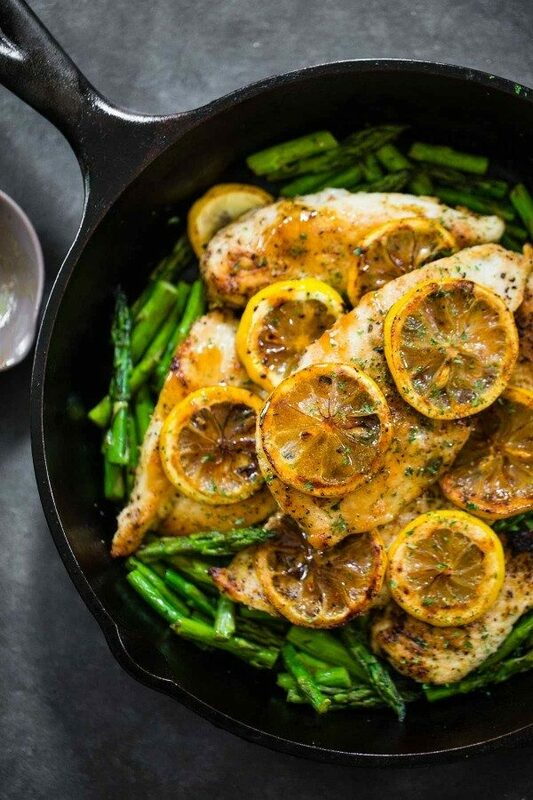 Looking to make dinner in 30 minutes or less, while still keeping your diet goals in check? This super easy 5 ingredient Mediterranean recipe is sure to be a winner! 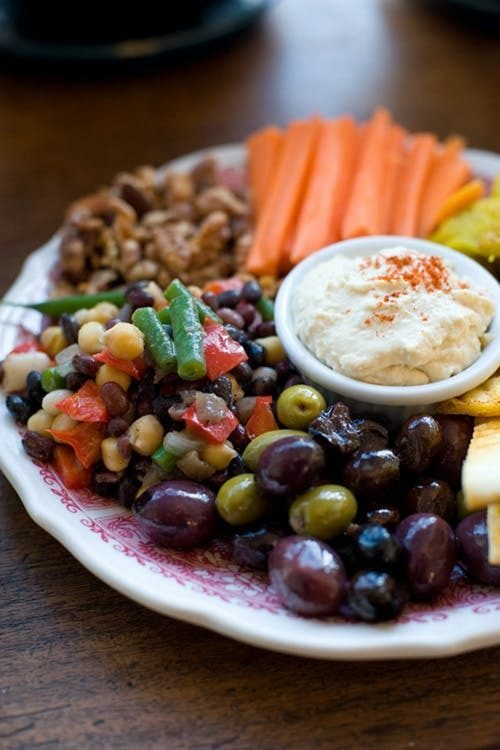 Trade in the fatty cheese board for this Mediterranean platter at your next get together! This is a great way to stay eating healthy while also enjoying a nice snack. You’ve never had sweet potatoes like this before! 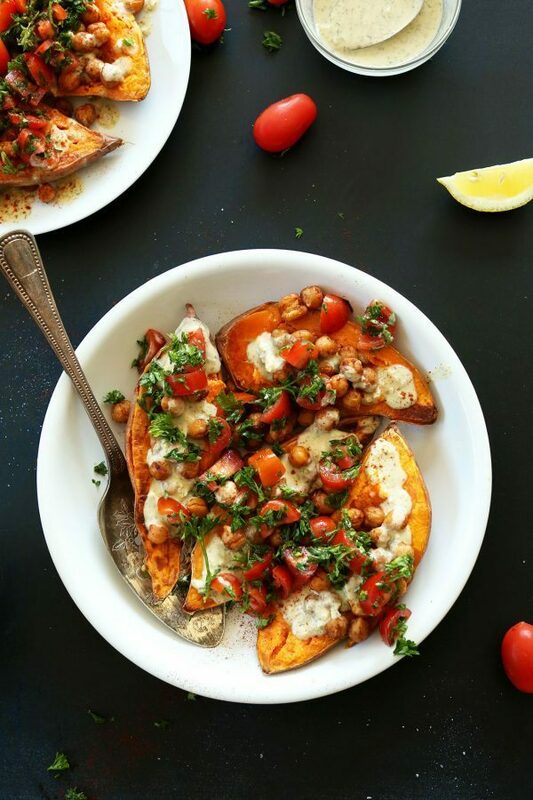 These sweet potatoes are done Mediterranean style with a delicious garlic herb sauce and chickpeas. This is another great recipe that can be done in 30 minutes or less. 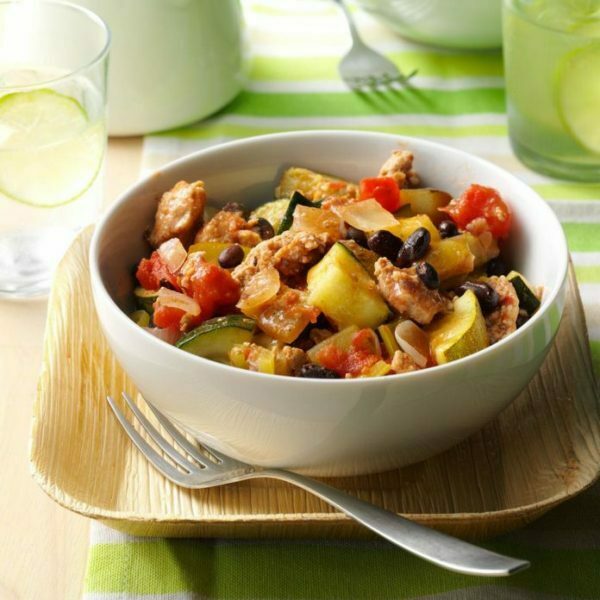 With a focus on lean meat, vegetables, and beans this turkey skillet is a must for your Mediterranean Diet meal plan! 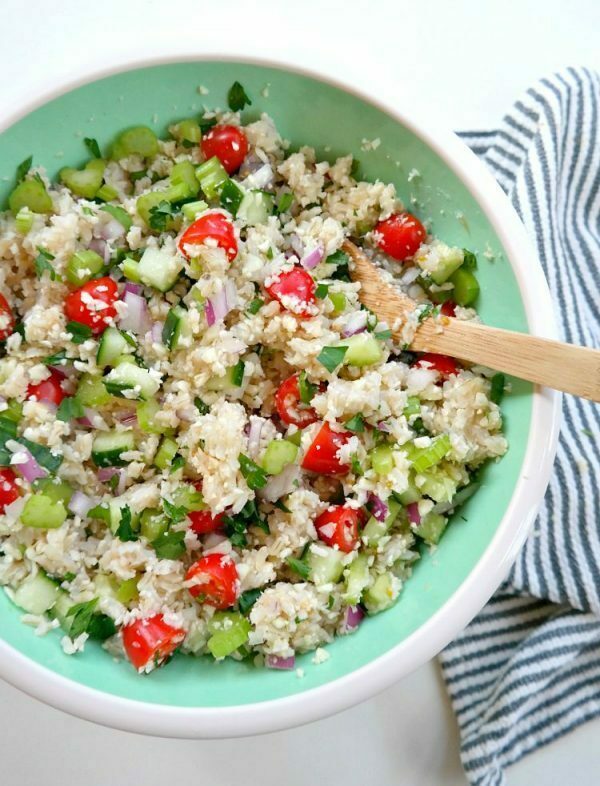 This cleansing salad is not only super yummy but can be used to detox! This recipe is rich in nutrient dense veggies to improve your overall health. Chickpeas are definitely a staple ingredient in many Mediterranean Diet recipes. They are so versatile and great for adding an extra boost of protein to any dish! 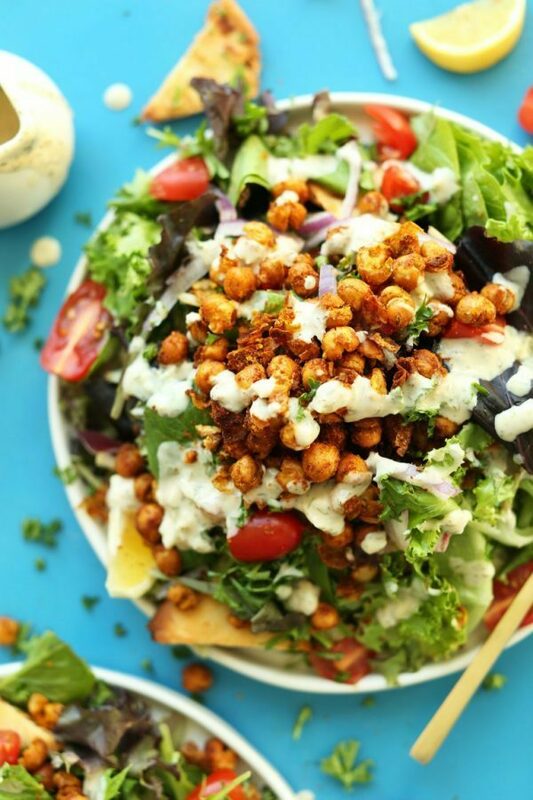 This recipe includes seasoned chickpeas on top of a salad for a super healthy meal option. 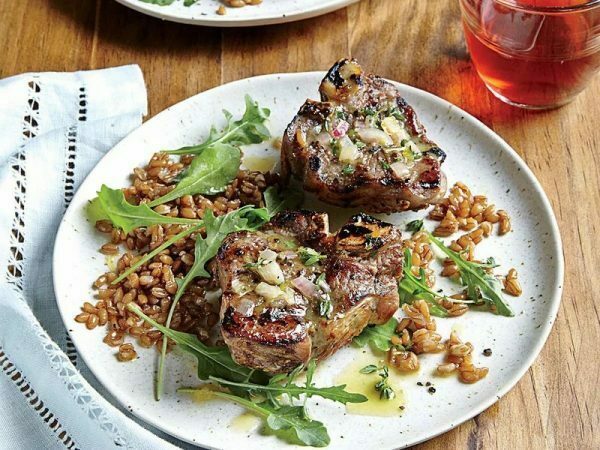 Lamb is also another Mediterranean Diet staple. This recipe is bursting from flavor from shallots, dijon mustard, and a few other delicious ingredients. You can’t go wrong with this one! This swordfish is unlike any other than you’ve ever had! 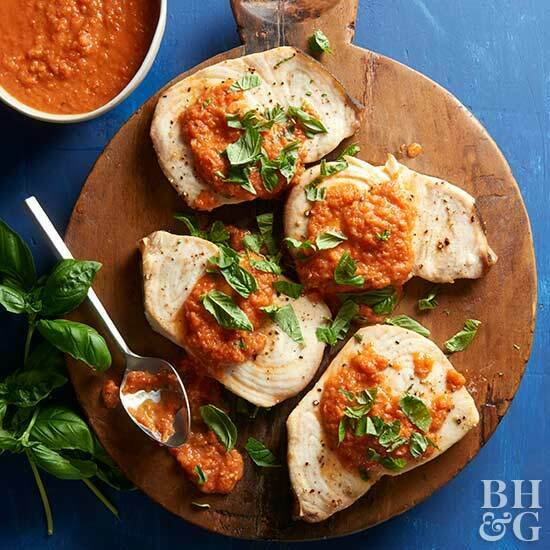 The flavors in the tomato sauce are developed with garlic and rosemary. Finish it with fresh basil for fresh added touch! Looking for more delicious Mediterranean diet recipe ideas? 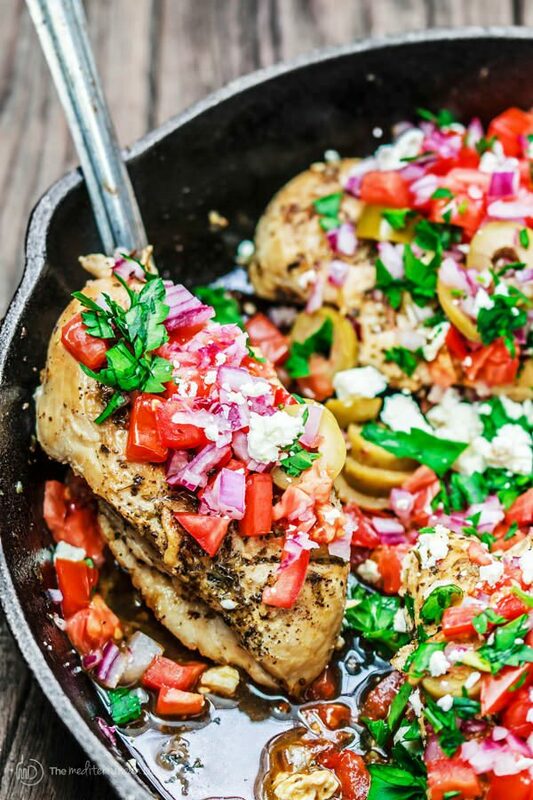 Check out these Delicious Mediterranean Dinner Recipes! 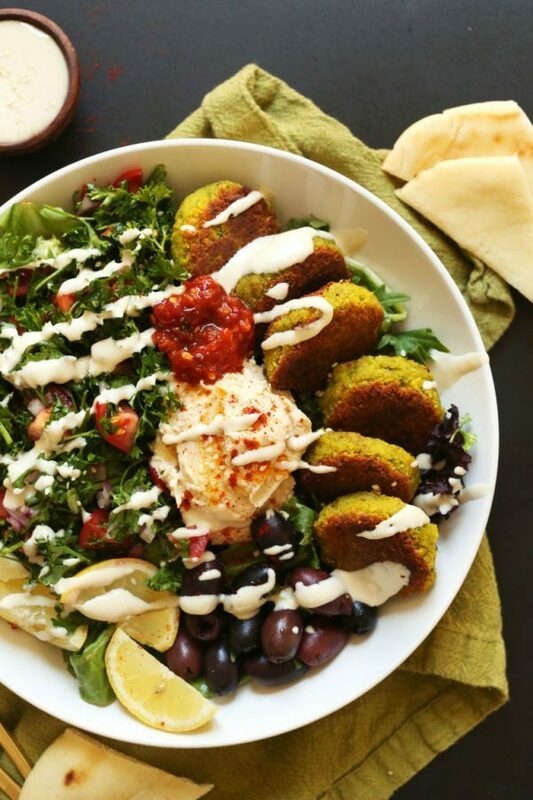 As you can see, these Mediterranean Diet recipes are not your average diet food! Overall the goal is to eat healthier, and better. 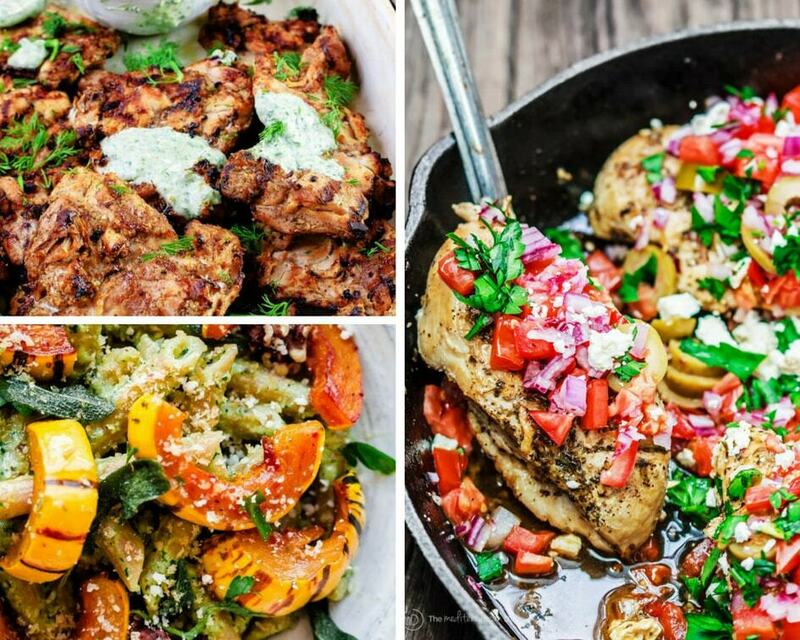 These recipes not only taste delicious, they may promote an overall healthier lifestyle! Add a few (or all) of these to your Mediterranean Diet meal plan!